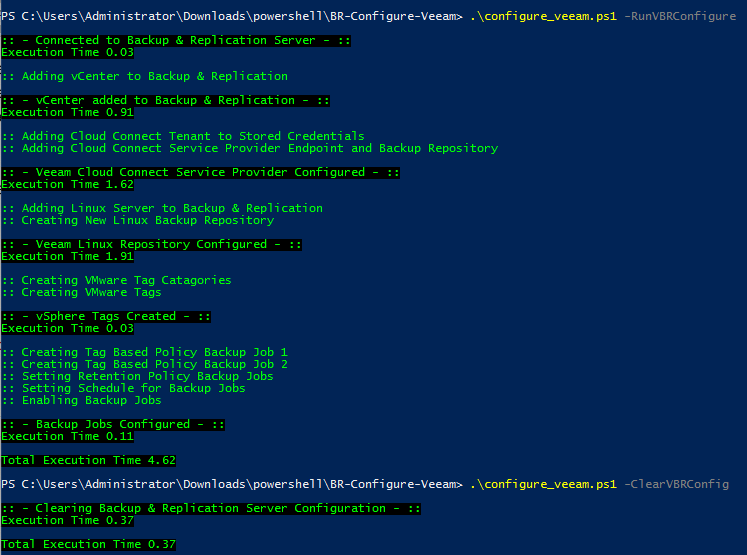 Automated Configuration of Backup & Replication with PowerShell - VIRTUALIZATION IS LIFE! As part of the Veeam Automation and Orchestration for vSphere project myself and Michael Cade worked on for VMworld 2018, we combined a number of seperate projects to showcase an end to end PowerShell script that called a number of individual modules. Split into three parts, we had a Chef/Terraform module that deployed a server with Veeam Backup & Replication installed. A Terraform module that deployed and configured an AWS VPC to host a Linux Repository with a Veeam PN Sitegateway. And finally a Powershell module that configured the Veeam server with a number of configuration items ready for first use. 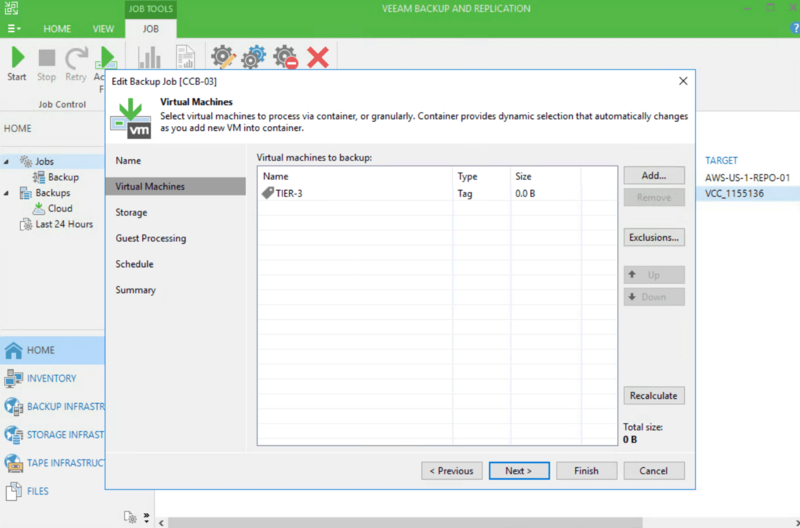 The goal of the project was to release a PowerShell script that fully deployed and configured a Veeam platform on vSphere with backup repositories, vCenter server and default policy based jobs automatically configured and ready for use. This could then be adapted for customer installs, used on SDDC platforms such as VMware Cloud on AWS, or for POCs or lab use. While we are close to releasing the final code on GitHub for the project, I thought I would branch out the last section of the code and release it separately. As I was creating this script, it became apparent to me that it would be useful for others to use as is or as an example from which to simplify manual and repetitive tasks that go along with configuring Backup & Replication after installation. The PowerShell script (found here on GitHub) performs a number of configuration actions against any Veeam Backup & Replication Server as per the included functions. All of the variables are configured in a config.json file meaning nothing is required to be modified in the main PowerShell script. There are a number of parameters that can be called to trigger or exclude certain functions. There are some pre-requisites that need to be in place before the script can be executed…most importantly the PowerShell needs to be executed on a system where the Backup & Replication Console is installed to allow access to the Veeam PowerShell Snap-in. From there you just need a new Veeam Backup & Replication server and a vCenter server plus their login credentials. If you want to add a Cloud Connect Provider offering Cloud Connect Backup or/and Replication you enter in all the details in the config.json file as well. Finally, if you want to add a Linux Repository you will need the details of that plus have it configured for key based authentication. You can combine any of the parameters listed above. An example is shown above where -ClearVBRConfig has been used to reverse the -RunVBRConfigure parameter that was executed first to do an end to end configure. For Cloud Connect Replication, if you want to configure and deploy an NEA there is a specific parameter for that. If you didn’t want to configure Cloud Connect or the Linux Repository the parameters can be used individually, or together. If those two parameters are used, the Default Backup Repository will be used for the jobs that are created. Part of the automation that we where keen to include was the automatic creation of default backup jobs based on vSphere Tags. The idea was to have everything in place to ensure that once the script had been run, VMs could be backed up dependant on them being added to vSphere Tags. Once done the backup jobs would protect those VMs based on the policies set in the config.json. 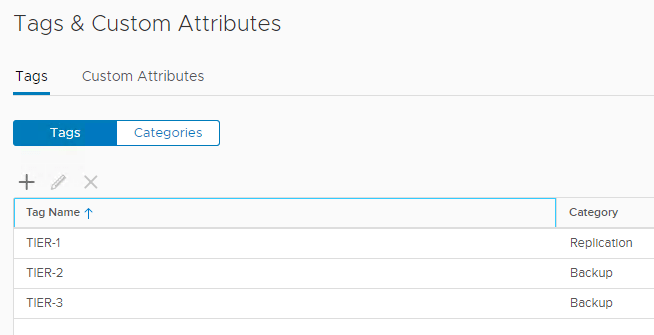 The corresponding jobs are all using the vSphere Tags. From here the jobs don’t need to be modified when VMs are added…VMs assigned those Tags will be included in the job. Once the script has been run you are left with a fully configured Backup & Replication server that’s connected to vCenter and if desired (by default) has local and Cloud Connect repositories added with a set of default policy based jobs ready to go using vSphere Tags. There are a number of improvements that I want to implement and I am looking out for Contributors on GitHub to help develop this further. At its base it is functional…but not perfect. However it highlights the power of the automation that is possible with Veeam’s PowerShell Snap-In and PowerCLI. One of the use-cases for this was for repeatable deployments of Veeam Backup & Replication into POCs or labs and for those looking to standup those environments, this is a perfect companion. Look out for the full Veeam SDDC Deploy Toolkit being released to GitHub shortly.